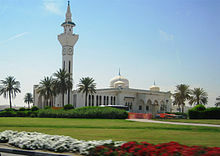 Qatar–United Arab Emirates relations are the relations between Qatar and the United Arab Emirates (UAE). The relationship between the two countries has been severed following the 2017–19 Qatar diplomatic crisis. 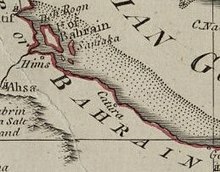 Bahrain–Qatar relations are the bilateral relations between the State of Qatar and the Kingdom of Bahrain. They first began in 1971. Iran–Qatar relations refer to the bilateral relations between the Islamic Republic of Iran and the State of Qatar. 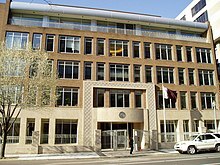 Iran has an embassy in Doha while Qatar has an embassy in Tehran. Qatar and Iran have close ties but relations between the two countries were soured after Saudi Arabia severed ties with Iran following the January 2016 attack on the Saudi diplomatic missions in Iran. 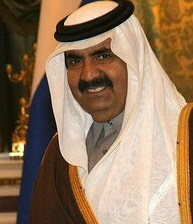 Sheikh Thani bin Hamad bin Khalifa Al-Thani is the brother of the Emir of Qatar Tamim bin Hamad Al Thani, and son of the country's Father Emir Hamad bin Khalifa Al Thani. 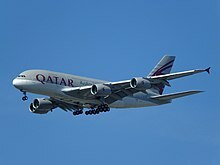 Al-Thani sits on the board of directors of the Doha Film Institute and International Bank of Qatar. Saudi Arabia–Qatar relations refers to the current and historical relationship between the Kingdom of Saudi Arabia and the State of Qatar. 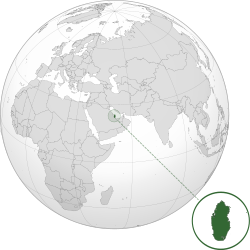 Prior to the 21st century, the two countries maintained cordial ties. Qatar was mainly subservient to Saudi Arabia in matters relating to foreign policy. Hamad bin Khalifa Al Thani's assumption of power saw Qatar reclaim its sovereignty in foreign affairs, often diverging from Saudi Arabia on many geopolitical issues. 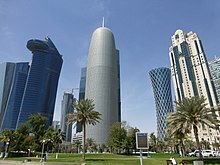 In 1996, the Qatari government launched Al Jazeera in a bid to consolidate soft power. 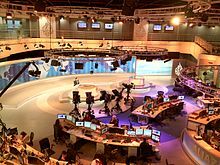 One of the most watched news stations in the Arab world, Al Jazeera proved to be a wedge in the two's bilateral relations as it routinely criticized Saudi Arabia's ruler. The network also provided a platform for Islamist groups which are considered a threat to Saudi Arabia's monarchy. 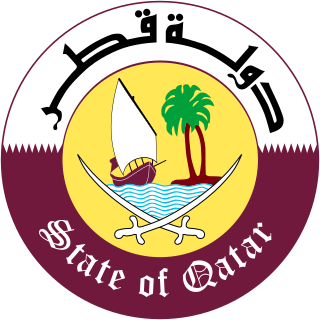 The Kingdom of Morocco and the State of Qatar formed diplomatic relations in 1972. There is substantial economic cooperation between the two countries, with Qatar being one of the largest foreign investors in Morocco. 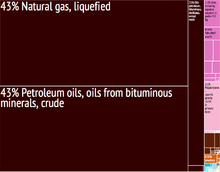 A $2 billion joint venture between Qatar's sovereign wealth fund and Morocco was established in 2011. China – Qatar relations are the bilateral relations between the People's Republic of China and the State of Qatar. 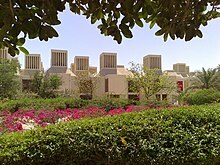 China has an embassy in Doha, while Qatar has an embassy in Beijing. With diplomatic relations first being formed in 1988, Qatar is currently a strategic ally of China, with relationship between the two countries growing stronger.